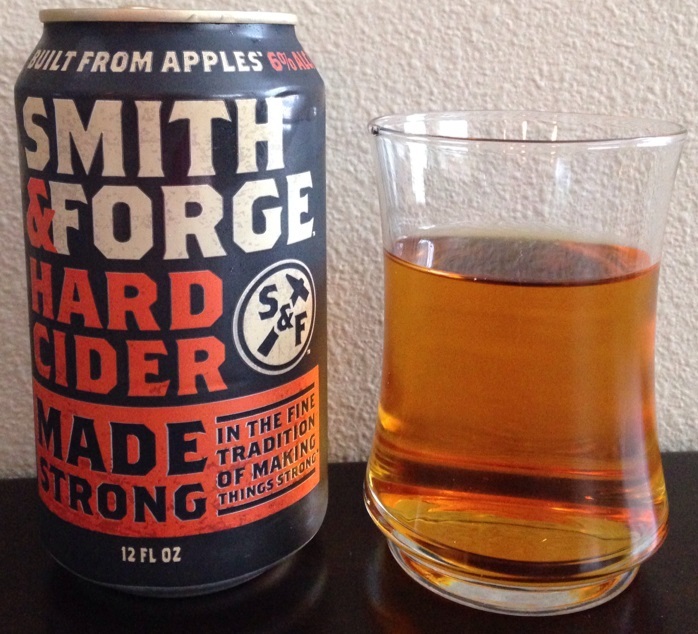 Review of Smith & Forge Hard Cider. I haven’t got around to trying this one, so why not? I don’t discriminate when it comes to cider. If I like it, I drink it / buy it again. 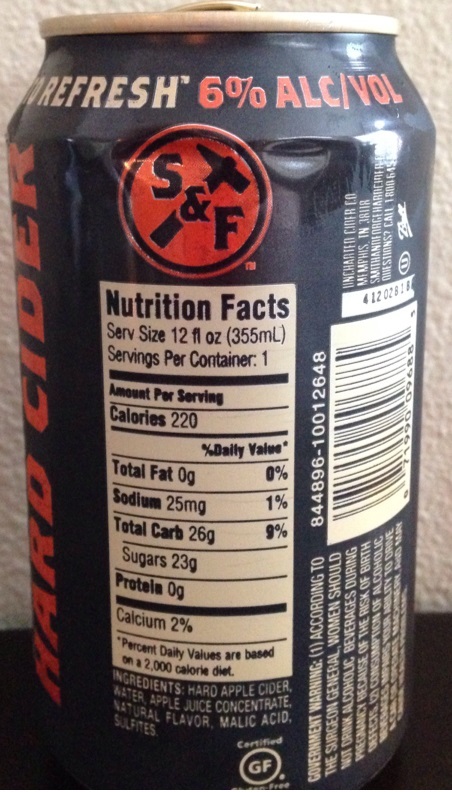 Cidery: Uncharted Hard Cider Co.
Cider Description: Presenting Smith & Forge Hard Cider, a sturdy drink for the hardy gent. 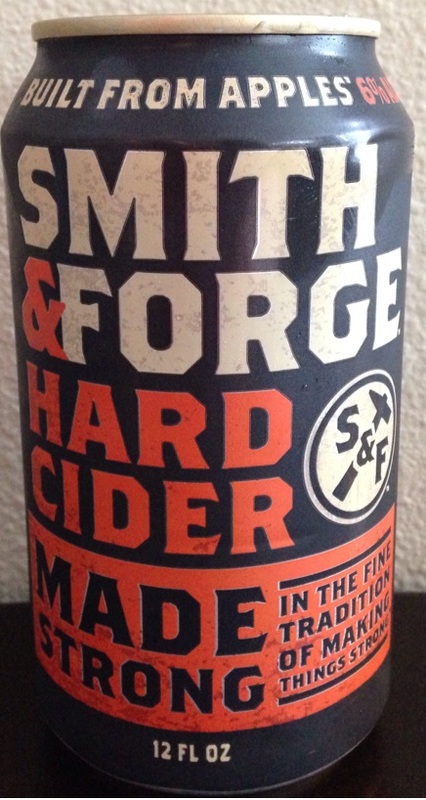 Launching nationally this month (March 2014), Smith & Forge is a hard cider fermented in the tradition of days gone by. With a rich amber color, 6% alcohol by volume (ABV), a distinct, not-too-sweet taste and a fantastically crisp finish, Smith & Forge is built to refresh. First Impression: Deep bronze amber (is this actually real? coloring isn’t listed though…). Almost no carbonation. Sugary fake apple smell. Opinion: Very sweet. This has a syrupy sweet apple taste. I actually like sweeter ciders, but I think because of the lack of carbonation, it made it seem even sweeter. Its an alcoholic apple juice type of cider. I don’t detect any tartness. There is the slightest amount of bitterness in the finish. Hints of a caramel flavor. I wouldn’t even describe it as a smooth & crisp cider, as it is too syrupy & fake tasting for my liking. Overall this is a very simple cider without much depth. I think with a lot more carbonation and a bit less sugar it wouldn’t be too horrible. I’m still curious about the color, as even barrel aged cider doesn’t often get that deep of an amber, and it looks like the color of the Woodchuck ciders which (unfortunately) add coloring. Closing Notes: I think people in their early 20s who want a “cider” which tastes like apple juice but has alcohol will like this. Besides that, it doesn’t have much going for it. MillerCoors is definitely marketing this stuff like crazy! Their marketing it to men is an interesting strategy. Sadly, this is another cider by “Big Beer”, and further, one that tries to hide that fact. Of the commercial ciders I’ve tried, I find Woodchuck to have the best tasting ciders in general. Have you tried Smith & Forge? What did you think? I bought this “cider” on a whim, as it was on clearance, and I truly enjoy ciders of all styles, whether tart or sweet. Unbeknownst to me,(although thanks to this article, I now know) this experiment was doomed from the start. Miller’s swill-stained influence is noticeable just as the (admittedly minor) tartness diminishes, the distinct rot-gut booze flavor a lá Four Loko rears its bro-beer head. Though the awfulneds is faint, it turns this chimaeric beverage into a syrupy-sweet garbage cider-product. Lovers of cider, pass up on this Miller muck.